Termites for dinner. Bombs in the backyard. A nation torn by decades of war still on the brink. Can one life really make a difference? Born without her left hip and leg, Michele Perry is no stranger to seeming impossibilities. 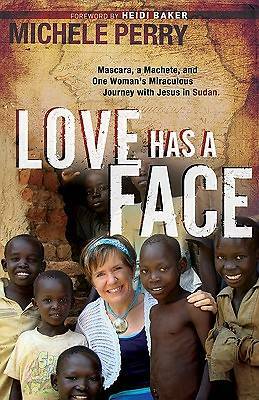 So when she arrived in war-torn Southern Sudan--with little more than her faith in god's promises--she did what everyone told her was crazy: she opened a home for orphaned children in the middle of guerilla warfare territory and has now become "mama" to over one hundred little lives. With a deft pen, she recounts unforgettable stories of life in the bush, stories that capture the reader with the stark realities of living in a war zone--and the power of God's love to transform them. Her own story is just as compelling as the ministry she is living. From working in the slums of India to finding her home in war-ravaged Africa, Michele's life has been a journey deeper into the supernatural power of God.